Something is broken in the world of PROMPTER. We are caught in the maelstrom of instantaneous reporting, playing the game of guess-what-is-happening-while-it- streams-right-into-your-home. The only story we can’t predict is the one that’s still unfolding. Boundaries between media and audience are dissolving as an epidemic of performative compulsion spreads through bedrooms and living spaces across the globe. Journalists caught at the centre of the storm realise they have become the darlings of disaster and violence. Impossibly, irrationally, the collective gaze being funnelled back through their camera lenses seems to have taken on very real power. 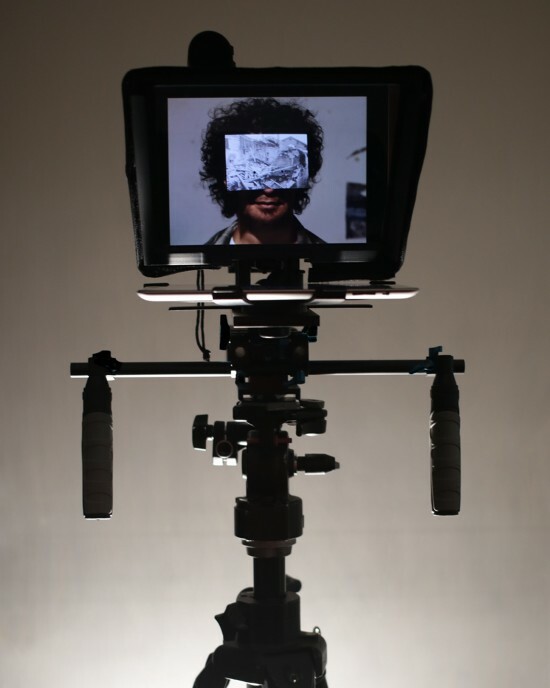 PROMPTER is a work of magic-political-(quasi-science-fiction)-realism featuring the work of an interdisciplinary team of artists from Australia, Argentina, the UK, the USA and France, and written by journalist and writer Patrick Pittman and Hydra Poesis director Sam Fox. PROMPTER plays out onstage through broadcast, theatre, dance and performance art, and features an online chorus streaming from the bedrooms of the internet.